Decking maintenance is best done before the bad weather rolls in and, with autumn already upon us, it’s time to start getting the garden ready for winter. Whether your deck is brand new or a few years old, made of softwood, hardwood, or composite materials, you can help to extend its life by making sure it’s ready to face the elements at this time of year. The dirt and scuffmarks of a happy summer outdoors can leave your deck in need of a good wash. Timber decks are also susceptible to mould as a result of mildew and greying due to oxidation. To clean your deck, first use a stiff bristle brush to clear away any leaves, mud and debris on the surface. The grooves in and between deck boards help to drain the surface, so make sure these channels stay clear. If the deck is just discoloured, it may only need scrubbing with hot soapy water to give it a new lease of life. However, for mould and mildew, and faded or stained decks, you will probably need to use a cleaning product specifically made for cleaning and restoring decks. Make sure you always scrub in the direction of the grain of the wood so you do not rough up the surface and edges. 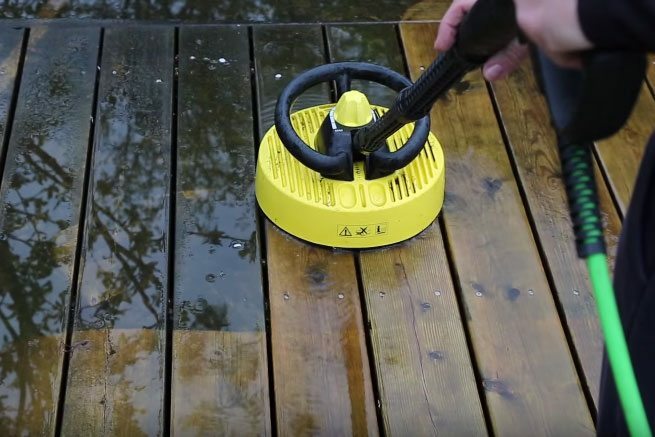 Power washing your deck might be easier if you’ve got a large surface area to clean, but be careful not to focus on any one area, so as not to erode the timber, and don’t get too close to the surface. 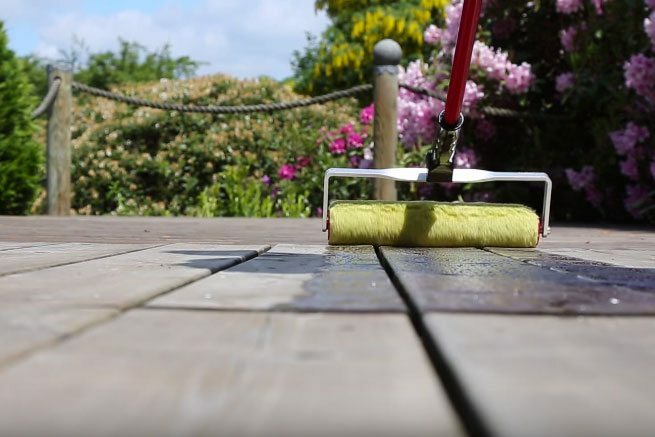 After cleaning your deck, you also need to make sure that any old coatings are removed, and you can do this by scraping, sanding, or using a product specifically for stripping paint and stain from wood. This will allow any new product to be easily and successfully applied. Once the deck is clean, you need to decide what treatment to use to protect your deck against the elements, and whether you just want to enhance the natural shade of the wood or give it a brand new look. Sealers and oils tend to be clear in colour and so help preserve the wood’s natural look. They penetrate the surface and prevent water from being absorbed, which helps prevent splits when the wood naturally expands and contracts. Translucent stains are similar to sealers in that they penetrate the wood but they are pigmented with a colour, which can help give your deck a new look. Both these options help to protect against mildew and fading as a result of sunlight. Solid stains are more like paint because they hide the wood grain completely. They don’t penetrate the wood but instead form a protective coating on the top, so extra care is required to ensure problems aren’t lurking beneath the surface. Also, make sure you go for a product that allows the wood to breathe and is resistant to cracking and peeling. Solid stains tend to last longer but they always need to be sanded or stripped when it’s time to re-decorate. If you’ve got a timber deck, make sure you plan to reapply your chosen product every year to maintain its life and keep the deck looking beautiful. 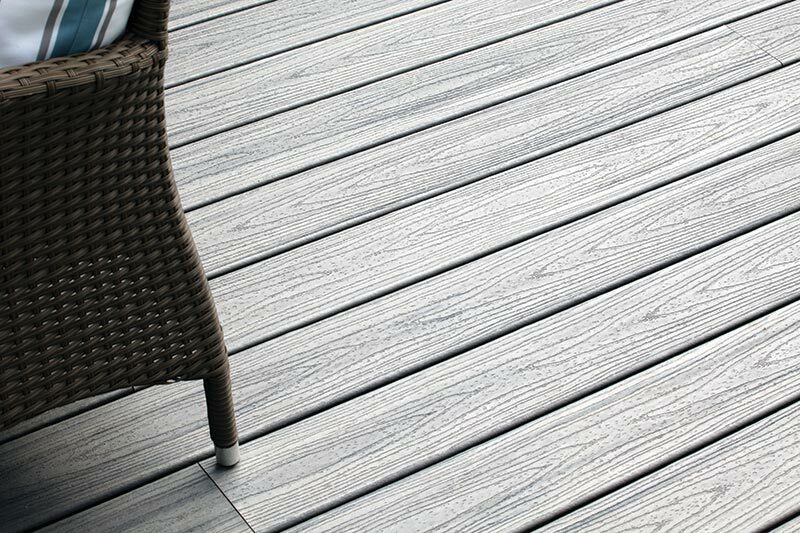 One of the major benefits of composite decking is that it is wonderfully low maintenance when compared to timber. However, that doesn’t mean your composite deck won’t require a little TLC every now and again. Trex composite decking’s care guides recommend washing the deck with hot soapy water when surface residue builds up. 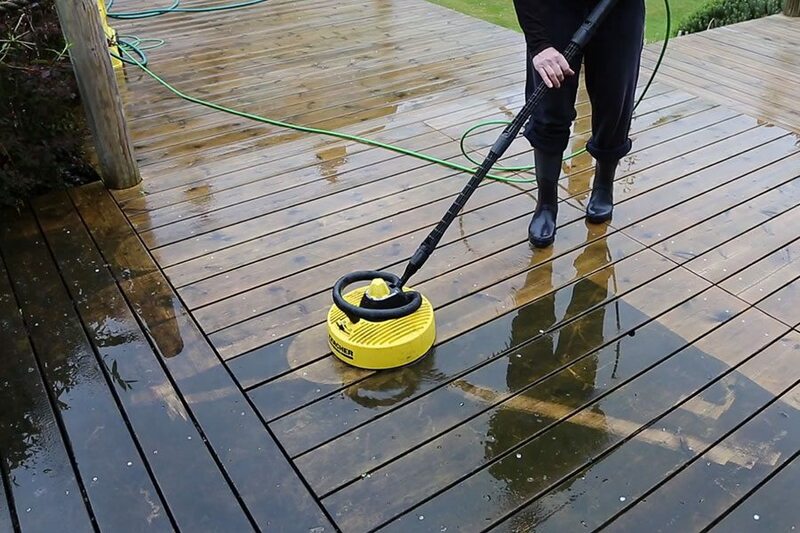 A deck cleaning product can also be used for a stronger and more effective clean, and if you choose to use a pressure washer, again, make sure you don’t get too close to the surface. Decking maintenance doesn’t have to be a big job; if you apply the tips mentioned above once or twice a year and keep an eye out for areas of mould, greying or discolouring of your deck, you will be able to extend its life and enjoy many more happy summers outside.